How does theTrumpet.com differ from other news sources? 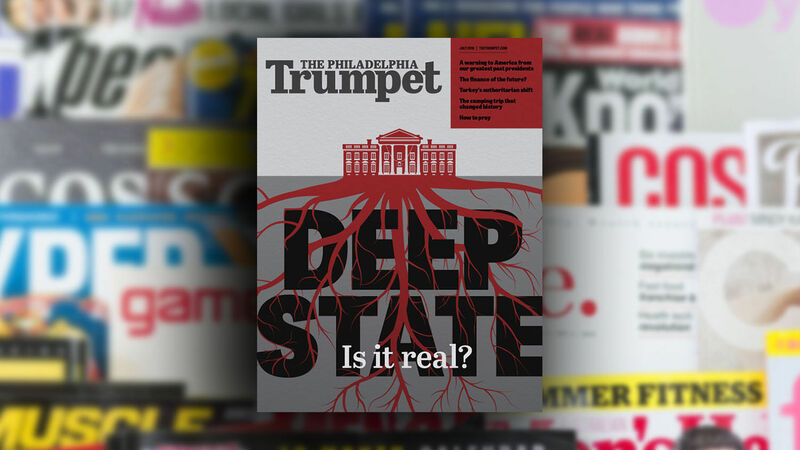 How is our print edition, the Philadelphia Trumpet, different from other newsmagazines? If you can understand the difference, it could be the greatest discovery of your life! Two years ago, from our campus in England, I wrote a letter to all Plain Truth subscribers a few hours after watching, on television, a human foot step down on the moon for the third time. That started a train of thought. On the one hand I had to reflect on the question: How tremendously great is the human mind? Not only can it devise and produce the means of flying to the moon and back—but also all the marvelous intricate mechanisms—such as the modern computer! Yet man has been unable to solve his own problems here on Earth! And today people are becoming more and more concerned over these problems and evils. People are bewildered! With such fantastic mind-power … with all the vast accumulation of knowledge, man still has not brought world peace, happiness, universal abundant well-being. Science has not produced it—nor government, nor religion, nor education, nor sociology. As I wrote then, the crying need of this hour is a voice that can explain why—that can point the way! And today the Trumpet is that voice! We focus on the most important issues of this age. And we show you why these subjects are so critical to your life. The world’s number-one problem is that of human survival. However, we show in many of our articles how humanity is definitely going to survive—but only after experiencing the worst suffering ever. Our writers explain the profound meaning behind world news. The Trumpet shows you where world events are headed. We describe the inspiring outcome. That means there is a vast difference between this website and every other news site out there. We hope you understand the difference. Our regular readers certainly do. For every effect there has to be a cause! Human civilization seems always to be ignoring the cause and trying to eradicate the effect. World War i was at the time called the war to end all wars. But wars do not abolish more wars. World peace can come only by knowing the cause of peace, and applying it!By the thousands, readers of the Plain Truth are beginning to understand some of the basics of right knowledge—the causes of peace, happiness, abundant well-being. They are learning the way that makes sense—that works in their own lives. Lives are being turned right-side up. Lives are being enriched. They are finding the true values, discarding the false. They are learning how to live. They are doing better financially, learning how better to handle finances. They are finding the way to happiness! In the world today it seems almost no one is helping people to live better lives. The Trumpet is a notable exception. Our readers are unique among magazine readers! Their minds are on things that really count! The things that make life a joy! They come to have understanding of world conditions—and their causes. Of world trends—not in a narrow or partisan political sense, but altogether above politics. And they come to face the future with confidence. We are in a worldwide work of giving—with nothing to sell—but giving of the knowledge and the principles that make for better and happier living. And this activity is financed solely by those who, voluntarily and unsolicited, have become contributors—co-workers with us in freewill offerings—giving that we may give. After Mr. Armstrong died, the powerful Plain Truth (it reached a circulation of 8 million) became like other magazines—only much worse than most. And today that magazine is virtually dead, as far as its circulation and impact are concerned. However, the Trumpet is continuing in the tradition of the Plain Truth published by Herbert W. Armstrong. Request your own free 12-month subscription to our print edition to find out how wonderfully different the Trumpet is.